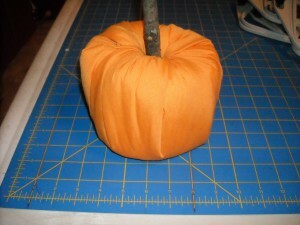 This is a quick and easy craft for even very small kids. 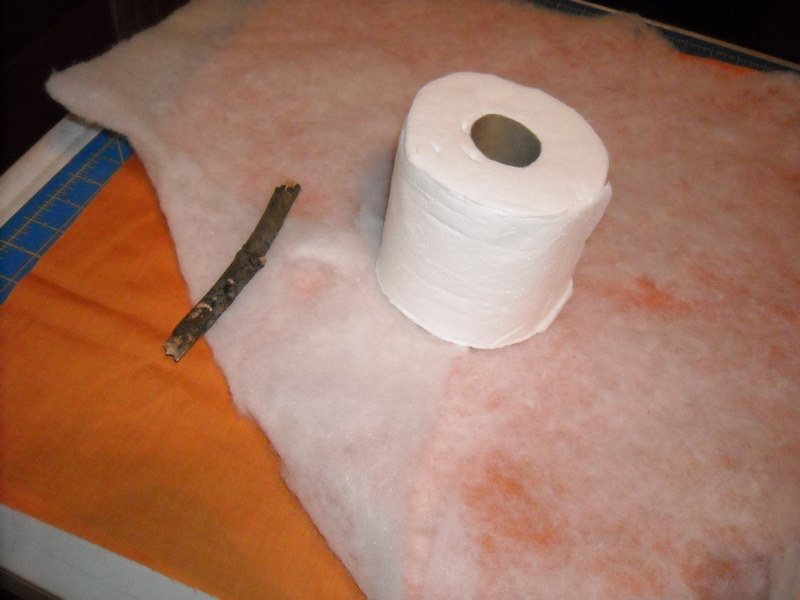 All you need is orange fabric, bating, a stick and a roll of toilet paper. Cut the bating and fabric to about 20 by 20 inch square. 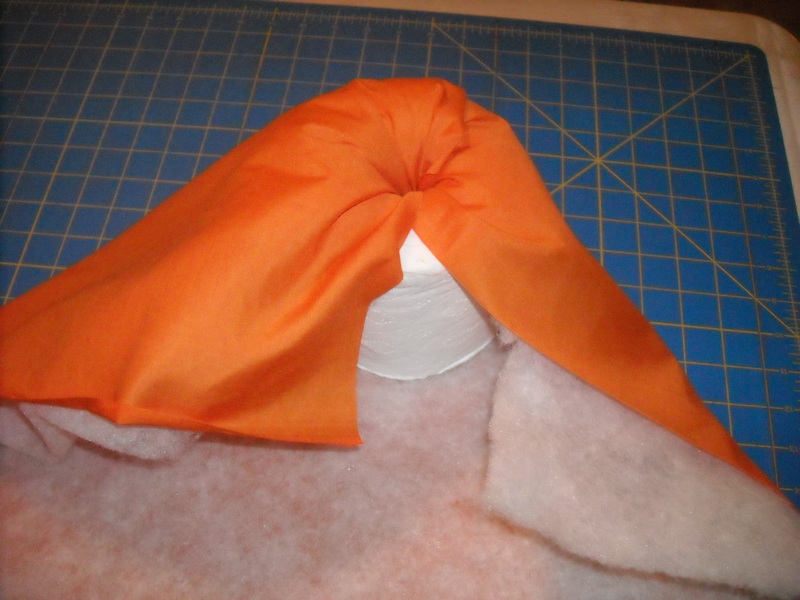 Put your paper roll in the center. Now just start tucking in the fabric in to the top hole. Finish it off with a 3 inch stick from your yard. NO GLUE, NO GLITTER, NO MESS, AND IT’S DONE.